I am about to get personal and I hope you guys don’t mind. I guess I just really needed to share this and hope that someone can share their experience as well. Those who are close to me know that I am an advocate of Law of Attraction and positive thinking. I’ve always believed that a positive mind creates a positive attitude and positive situations. But major life events in 2017 somehow changed me and I’ve been struggling to go back to my old self. Painful feelings just won't go away no matter what I do and those feelings already interfered with all areas of my life. I’ve had difficulty concentrating at work, had zero collaboration efforts, had no plans at all. I’ve become less engaged and less motivated which affected my work relationship and performance. 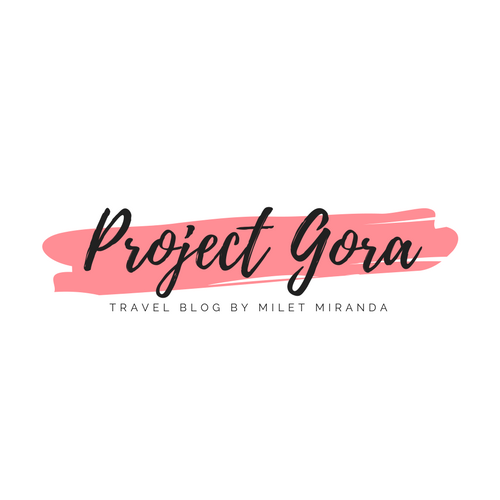 I’ve created less contents for my blog. I’ve struggled to produce a content that really came from my heart. It was very crippling and sad. It feels like I am stuck in a loop and no one can get me out of it but myself. It took a year before I finally accepted that I was really suffering with my mental health. I was in denial at first because I felt that I have no right to feel that way because it seemed like I was living such a great life. I thought of quitting my day job (I've been here 7 years and counting), but I thought that it would be such a waste to give up everything I’ve worked hard for. I thought of blogging as a full-time career but I was afraid because I don’t know if it will be worth it. 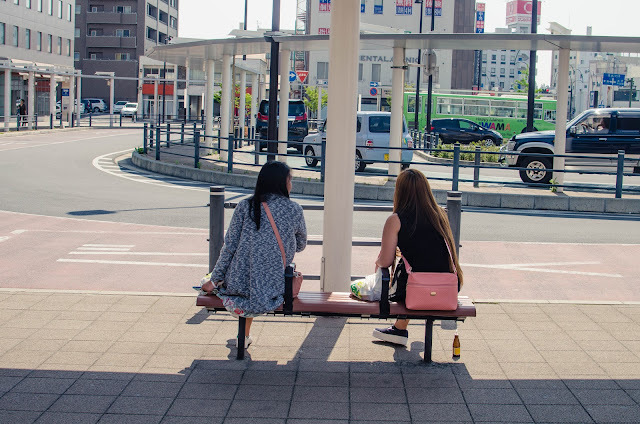 So I took a leave from work and travelled to Japan for half a month to think about what I really want to do. Away from the hustle and bustle of life back home, I found peace. Being in a beautiful place was a great catalyst for some deep thinking. 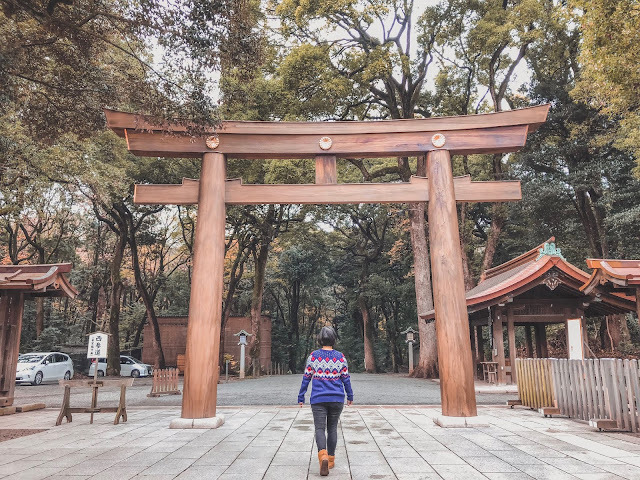 Call me cheesy, but traveling somehow helped me shutdown the mental noise. Now back in Manila, I can’t say that I am perfectly fine now. I’m still trying to make sense of everything that’s going on with me. But now, it became easier to get out of bed and do simple things like walking the dogs outside, cleaning the house etc. I will be back to work in January 7 and hopefully, things will be better. 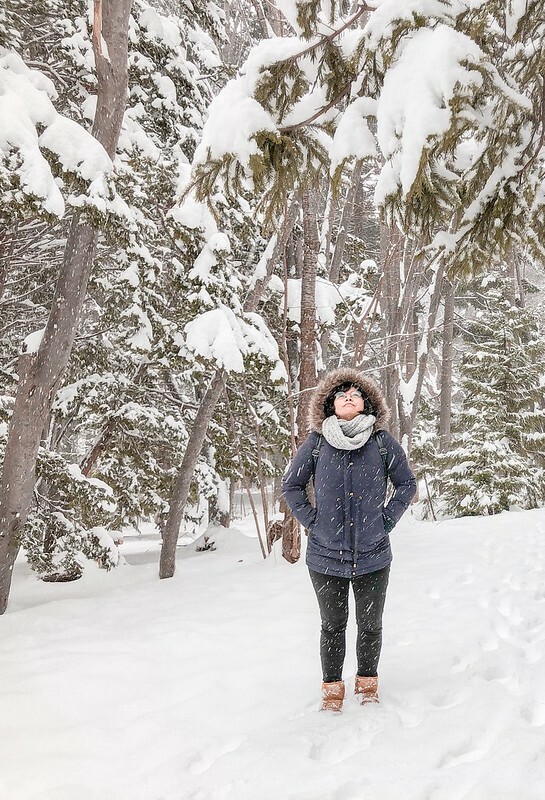 I am nothing but grateful for my life, my current employer who has been very supportive, and all the opportunities I’ve been given as a travel blogger. To the people (friends and family) who believe that I can conquer anything and who stick around me even if I was not my best self, you guys are the reason why I am trying to overcome what I’m going through one day at a time. 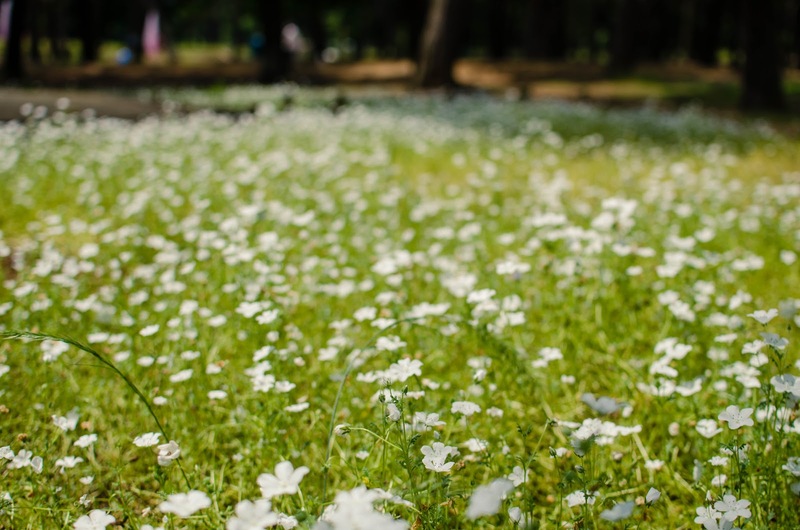 You might probably have come across a post on Facebook, Instagram or Pinterest of a massive park covered with glorious carpets of flowers either Baby Blue Eyes (Nemophila Menziesii) or the burning bush known as Kochia (Kochia Scoparia). 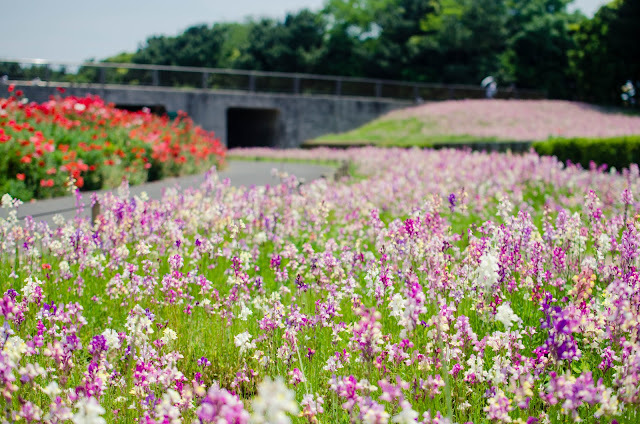 These two flowers are Hitachi Seaside Park’s top two main attractions that attract thousands of both local and foreign tourists every year. 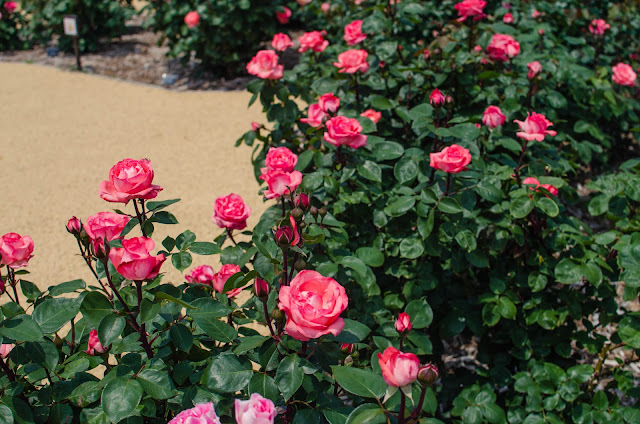 Nemophilia blooms from mid-April to early May while Kochia turns from green to crimson from early October to mid-October. 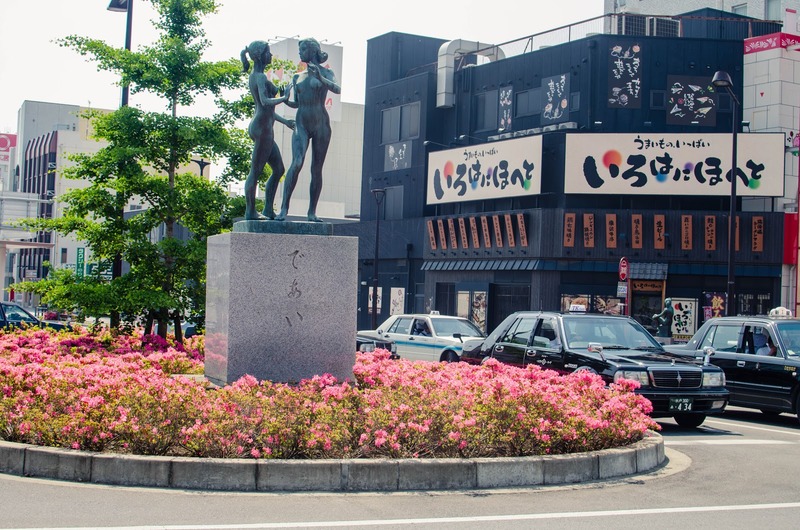 So, what do you do if your travel date in Japan does not fall in Spring or Autumn? 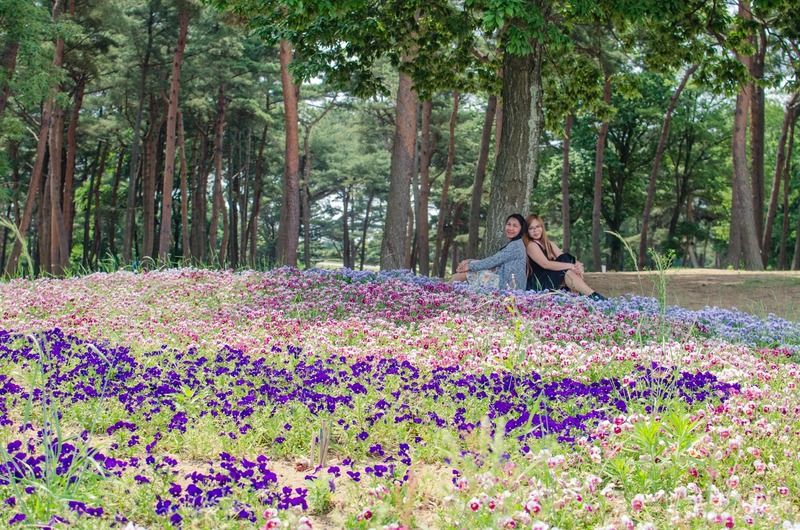 What are you going to see in Hitachi Seaside Park? Good news! This sprawling 190-hectare flower garden in Ibaraki Prefecture, Japan, has hundreds of flower varieties which rotate its full bloom throughout the year. 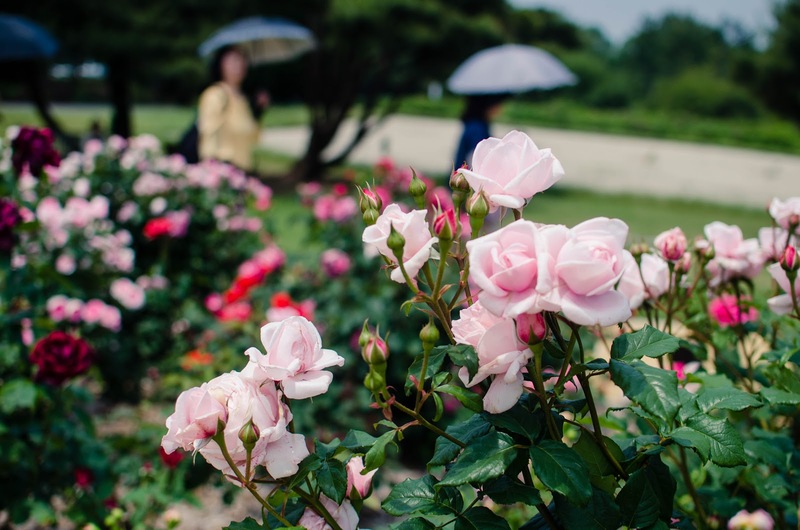 That means, there is something for everyone to enjoy no matter what the season. 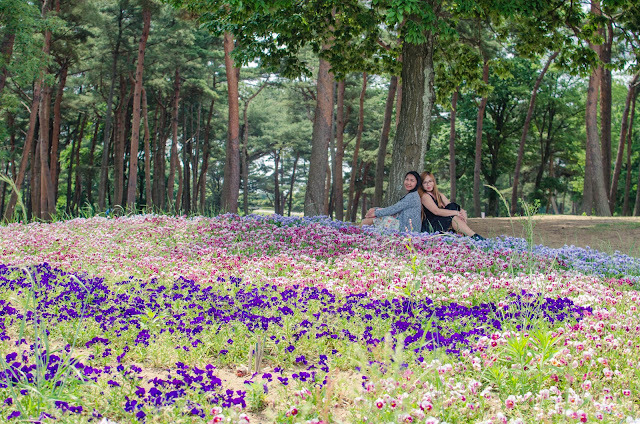 It was already the end of May last year when my friends and I decided to visit Hitachi Seaside Park from Tokyo. 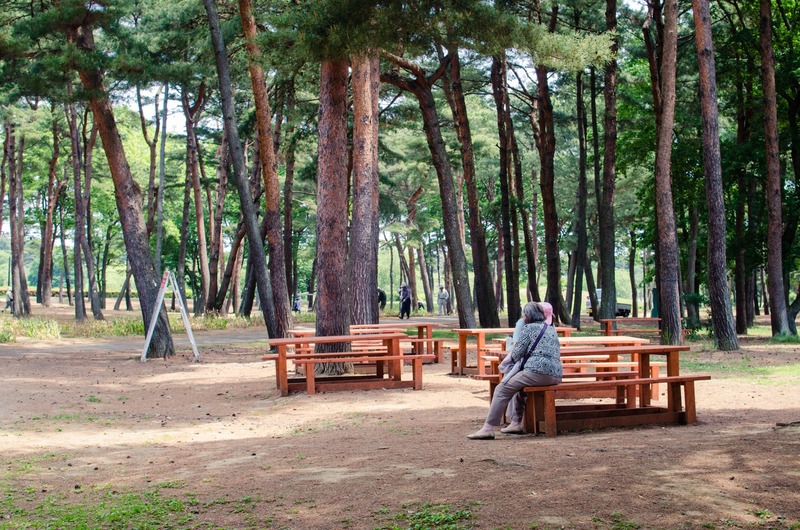 I visited this park three years ago when it was the cherry blossom season so I was lucky to see so many flowers in full bloom. 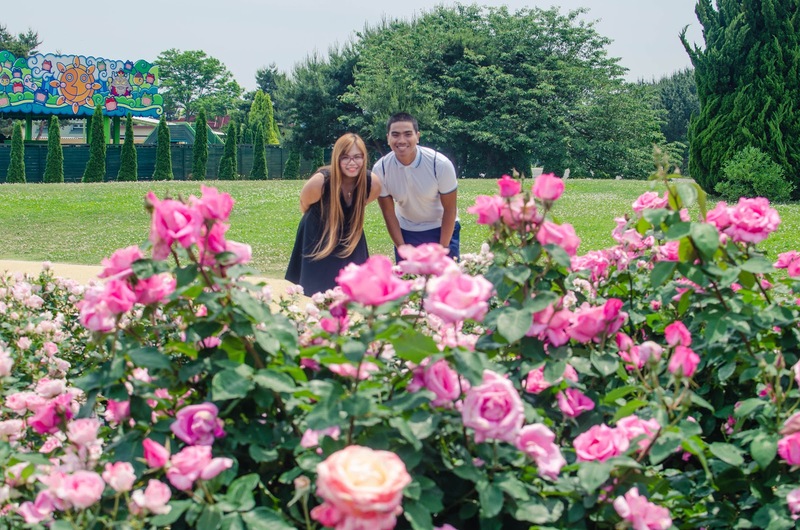 Because that visit was memorable, I wanted my friends from the office to see the park as well. 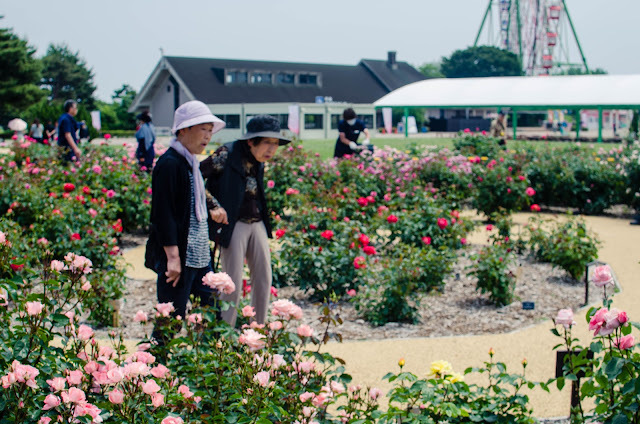 Although we did not see the nemophilias, cherry blossoms and kochias, we were very lucky because the roses at the Hitachi Rose Garden were in full bloom! 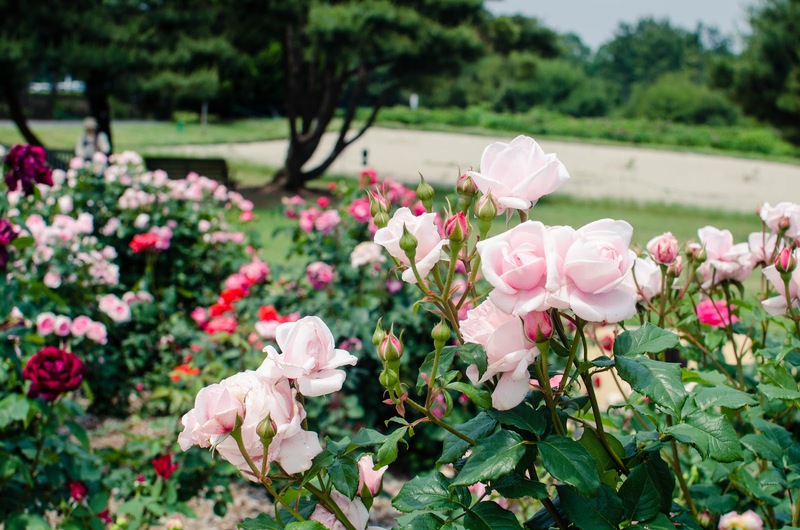 Hitachi Seaside Park’s Rose Garden wasn’t that big compared to the Miharashi Hills, where Nemophilias and Kochias were located. 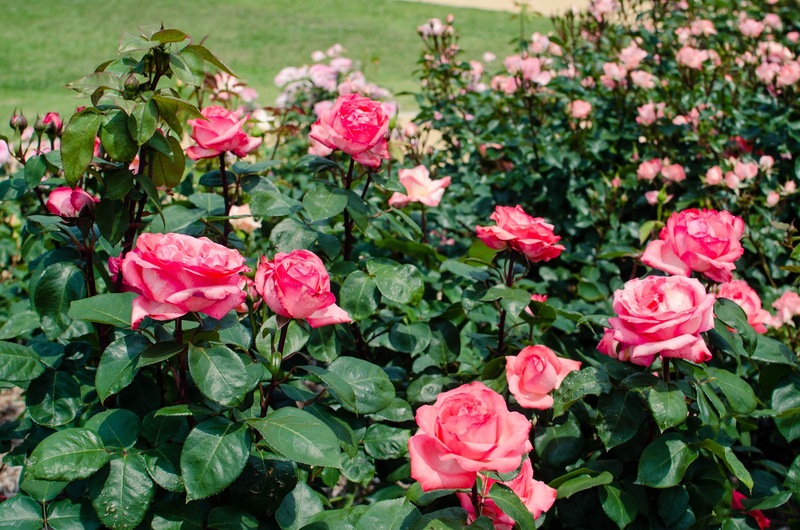 But that doesn’t make it any less of an attraction because it has its own charm. 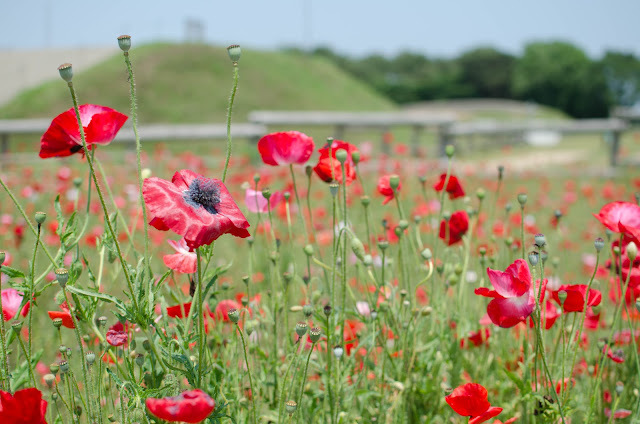 On the way to the garden, we passed by the park’s picnic areas and gardens with flowerbeds that burst with poppies and other flower varieties. 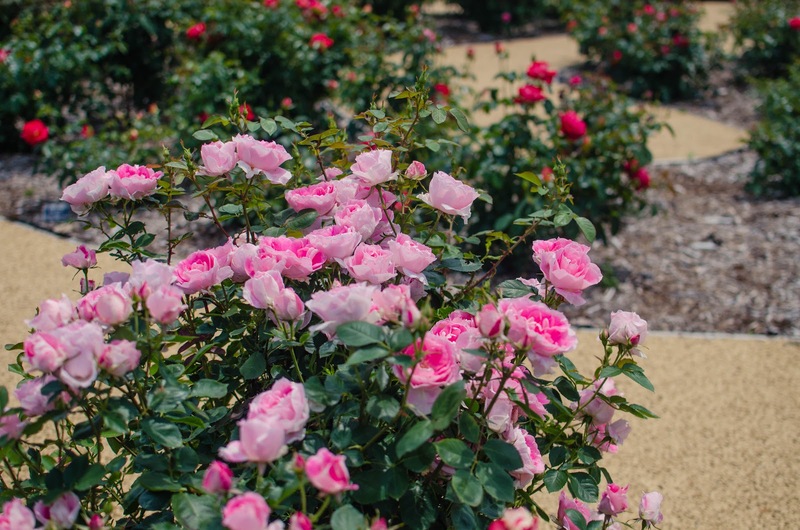 After about a 15-minute walk from the entrance, we finally reached the fragrant rose garden bursting with many beautiful roses. 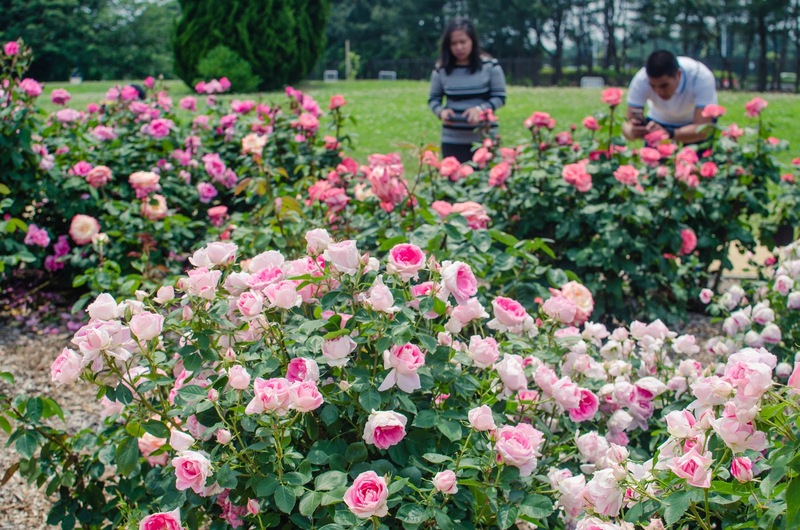 It was my first time to see so many different colours of roses! 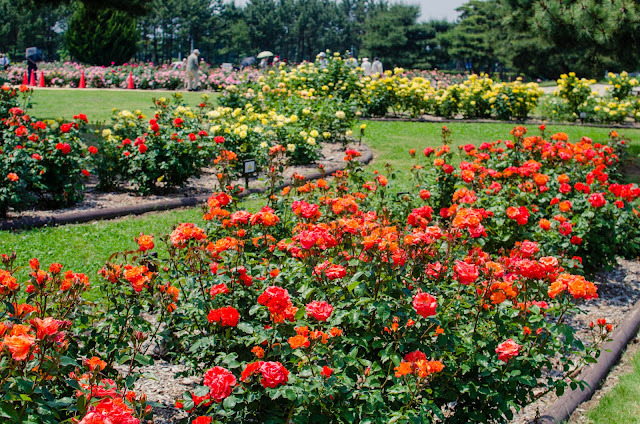 They have the velvety, deep red Hybrid Tea Rose, Sheer Bliss Rose (pale pink), Orange Rose, Yellow Rose, White Rose, among others. 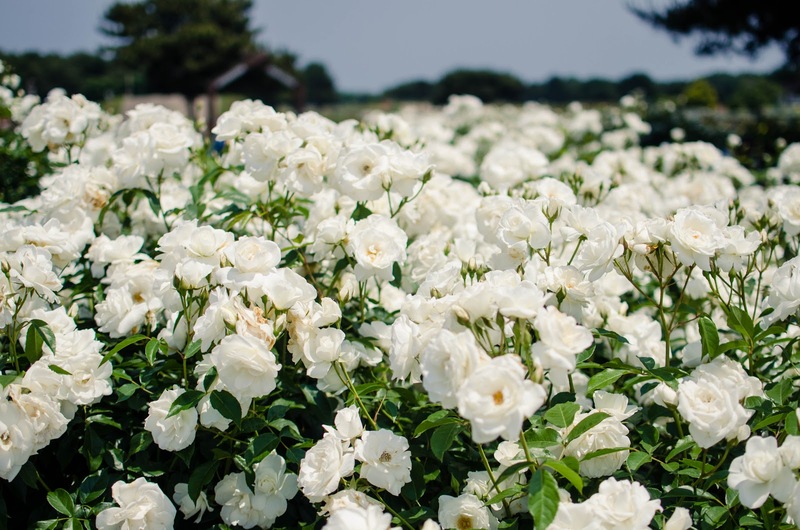 According to Hitachi Seaside Park’s website, they currently have about 120 species of roses which are blooming from mid-May until early June. 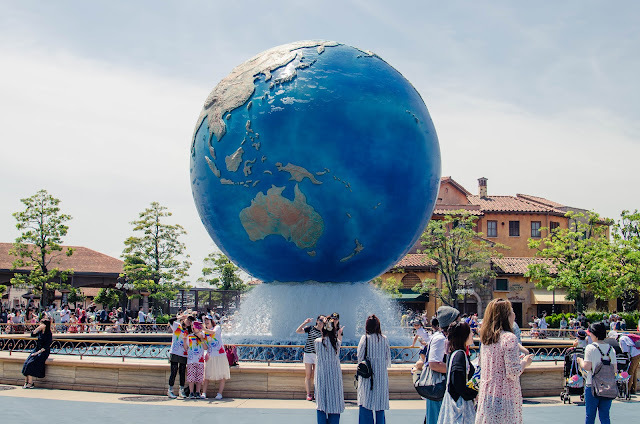 If you have plenty of time on your hands and want to experience something new from Tokyo, then a visit to Hitachi Seaside Park will be a great addition to your trip! 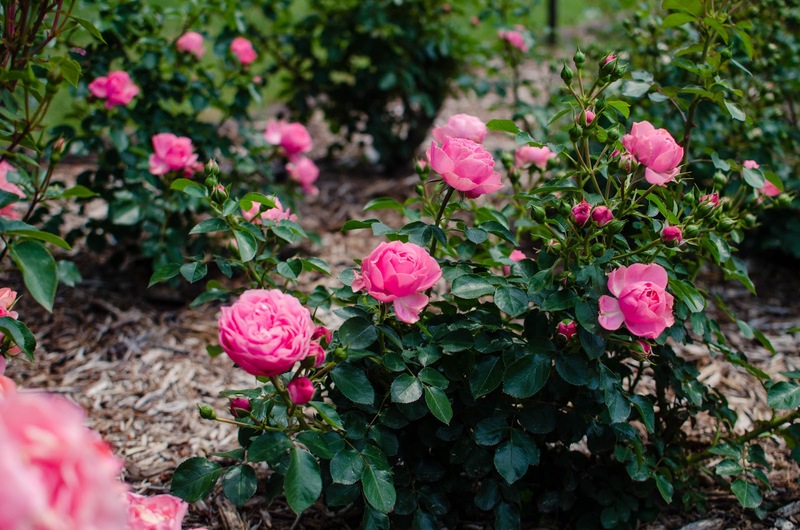 As I mentioned, flowers change every season, so make sure to check the website’s flower calendar to know which flowers are in bloom. 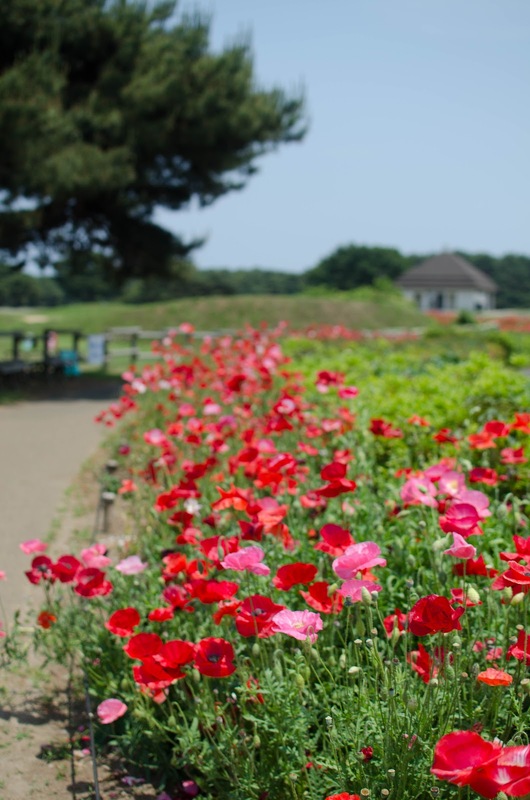 How to go to Hitachi Seaside Park from Tokyo? Check this post. Did you know that the only DisneySea in the world is in Tokyo, Japan? Located in Chiba Prefecture just a little outside Tokyo, this massive theme park features 7 water/sea themed areas, also known as Ports of Call - Mediterranean Harbor, American Waterfront, Mysterious Island, Port Discovery, Lost River Delta, Mermaid Lagoon, and Arabian Coast. You may not be a die-hard Disney fan, but trust me, there is so much to see and do in Tokyo DisneySea. 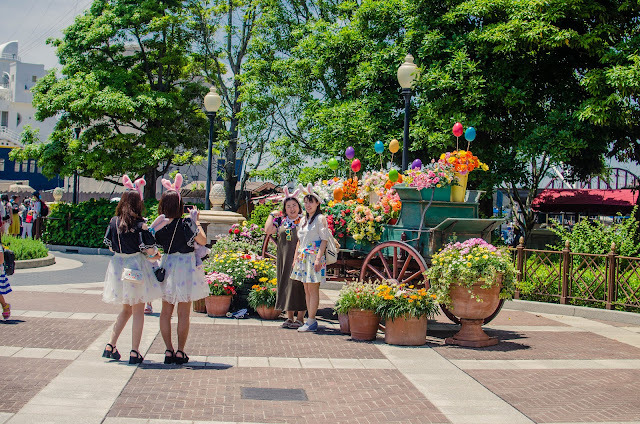 For a hassle-free and easy DisneySea and Disneyland ticket purchase, avail your tickets here. 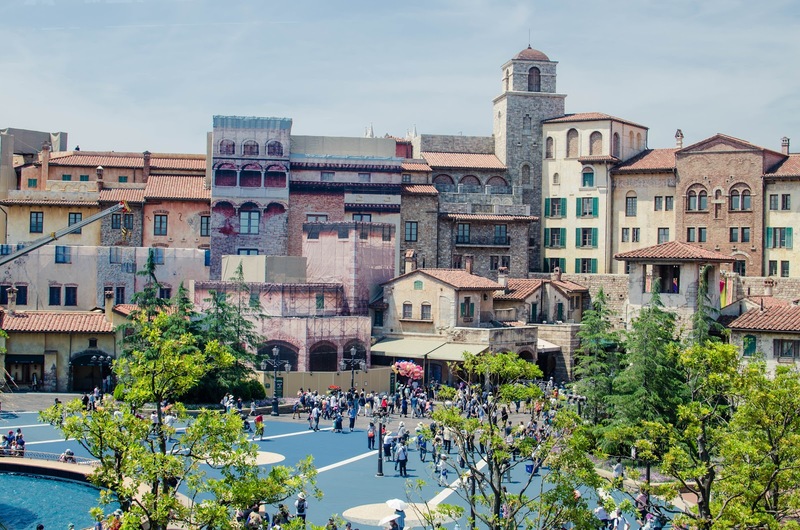 So what makes Tokyo DisneySea different from Tokyo Disneyland? 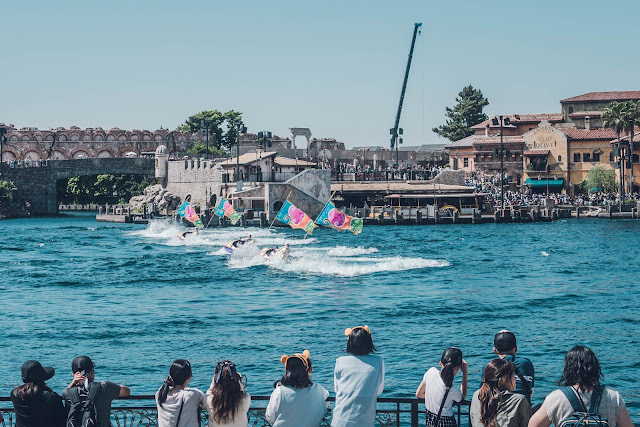 Tokyo DisneySea is geared towards an older audience with rides that are more thrilling, scarier and faster compared to Tokyo Disneyland. 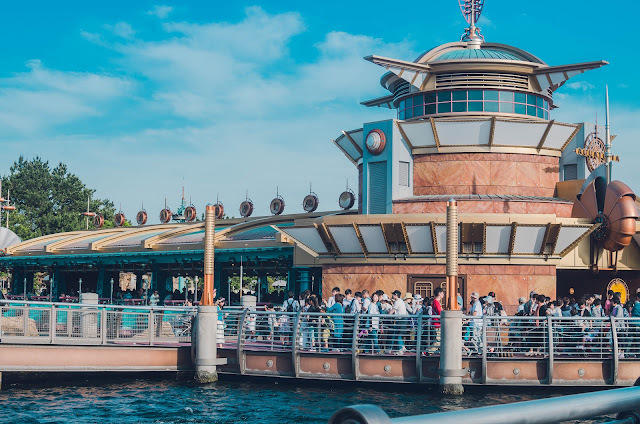 Also, you can buy alcoholic beverages at some of the restaurants inside Tokyo DisneySea like Ristorante di Canaletto. Magellan’s, Restaurant Sakura and Horizon Bay Restaurant. 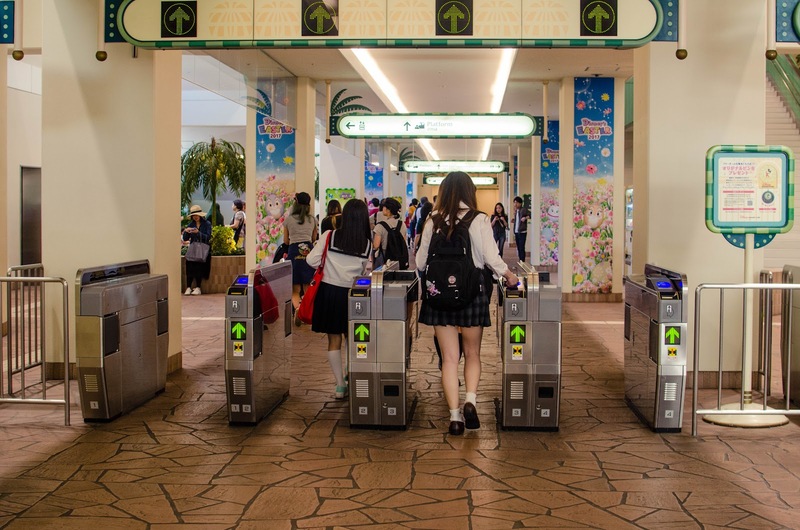 I wasn’t a big fan of theme parks but as soon as I walked through the turnstile, I immediately felt stepping into a magical world. Maybe it was the Mickey Mouse train, the nautical and maritime theme, helpful and friendly DisneySea staff, polite and respectful Japanese theme park goers (you wouldn’t see anyone to cut the line). Whatever it was, Tokyo DisneysSa is truly the Happiest Place on Earth. 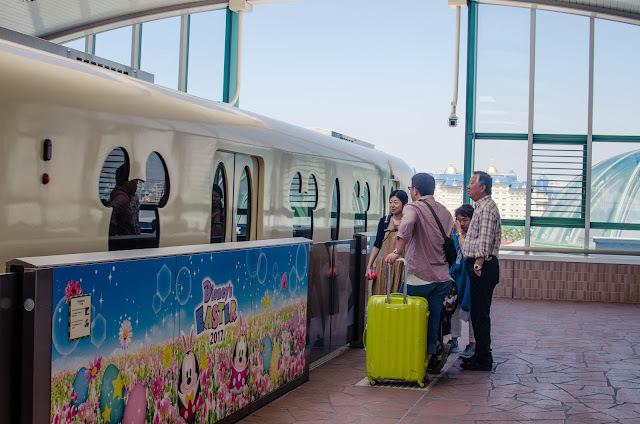 look at that Mickey Mouse train! So cute, no? 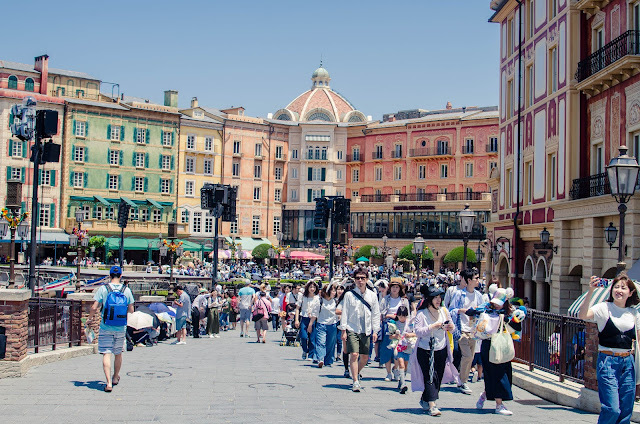 Mediterranean Harbour, the entrance to Tokyo DisneySea, is designed after an Italian Port Town of the Renaissance Era. I was really surprised to see this area because of its shockingly beautiful and accurate Mediterranean architecture. I don’t know what sort of maintenance Disney do here because it certainly looked brand new even if it was exposed to the elements all year round. 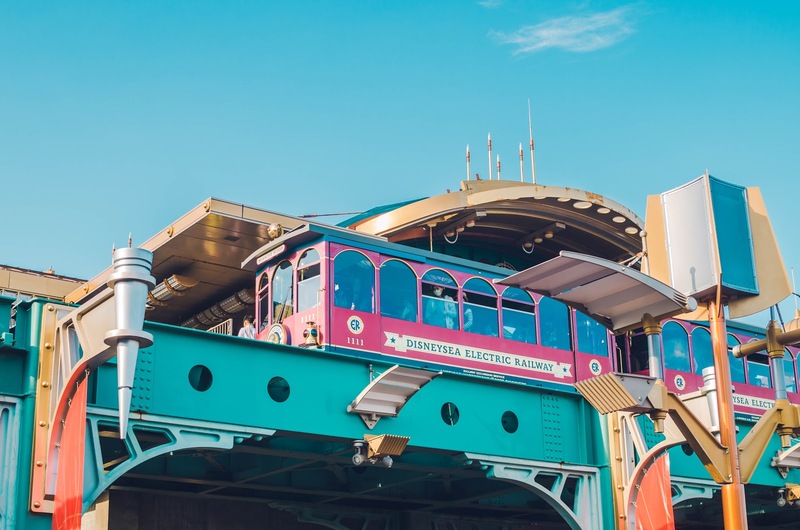 This port of call features several rides and attractions like the iconic Aquasphere, DisneySea Transit Steamer Liner, Fortress Explorations, and Venetian Gondolas. 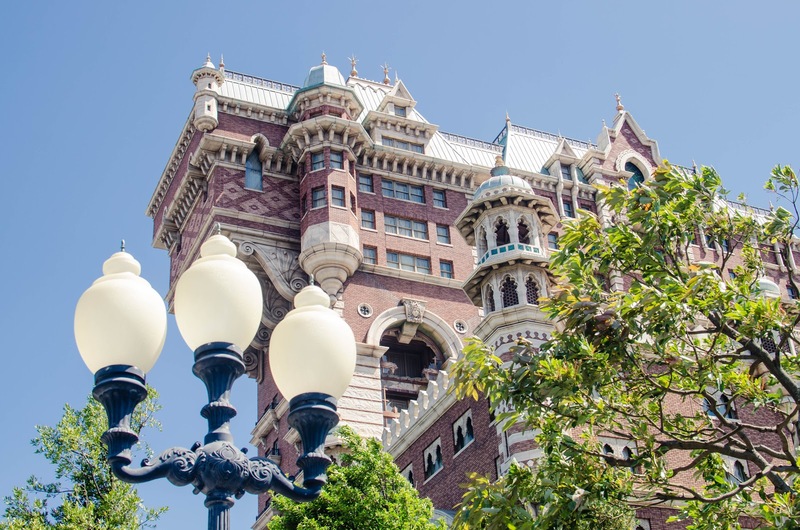 Here you will also find the only Disney hotel inside the theme park, Tokyo DisneySea Hotel MiraCosta. 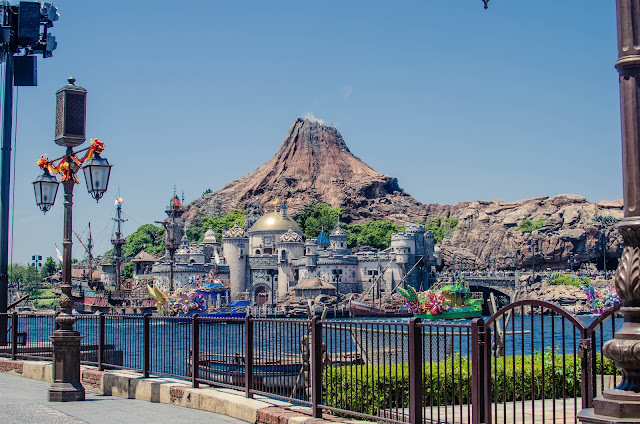 Walking further to the center of the park, you will be welcomed by DisneySea’s imposing symbol, Mount Prometheus, an active volcano. Set within the boundaries of Mount Prometheus, the centre icon of Tokyo DisneySea, Mysterious Island is not an actual island. It is situated behind the mountains mighty walls, separated from the rest of Tokyo DisneySea. Here you will find two of the park’s highly-rated attractions, Journey to the Center of the Earth and 20,000 Leagues Under the Sea. My friends and I weren’t able to try these rides because the waiting time is about 2 hours each. We didn’t know about the Fastpass at that time (I will talk about the Fastpass later on this post). American Waterfront depicts New York of the United States in the early 20th century. Two attractions dominate this port of call, which is Tower of Terror, one of the best and top attractions in Tokyo DisneySea, and the S.S. Columbia. It is also home to the park’s number 1 attraction based on reviews, the Toy Story Mania, an indoor 3D interactive ride. 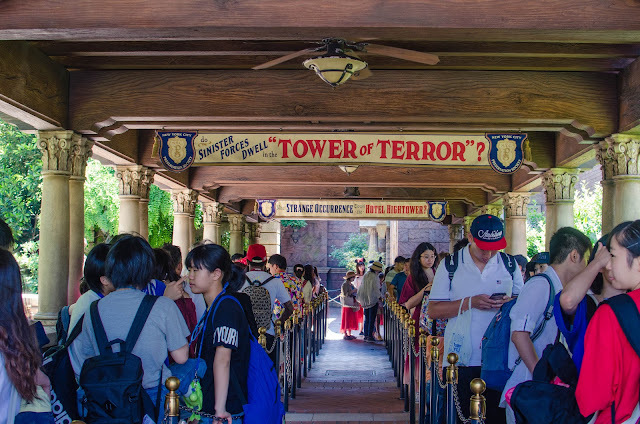 We weren’t able to try this ride because the lines were crazy and we didn’t really know what the fuss was all about until we got home. Haha! 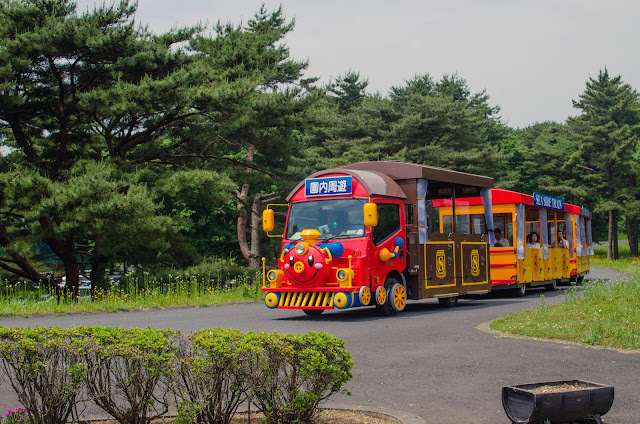 Other attractions you will find here as well are Turtle Talk, DisneySea Electric Railway and Big City Vehicles. *Tower of Terror was probably the scariest ride I’ve ever tried. Aside from the fact that it was dark inside, the narration was in Japanese so we did not understand anything. We all thought it was a horror house until we were asked to sit and fasten our seat belts. I guess the multilayered freefall and being completely clueless what was happening made it super scary. Haha! The Retro-Futuristic Port Discovery is labelled as the marina of the future. This is probably Tokyo DisneySea’s version of Tokyo Disneyland’s Tomorrowland. Although it’s supposed to look futuristic, it didn’t look that way in my opinion. I don’t know how to explain it but its design and architecture kind of reminds me of old Hollywood movies depicting the future. 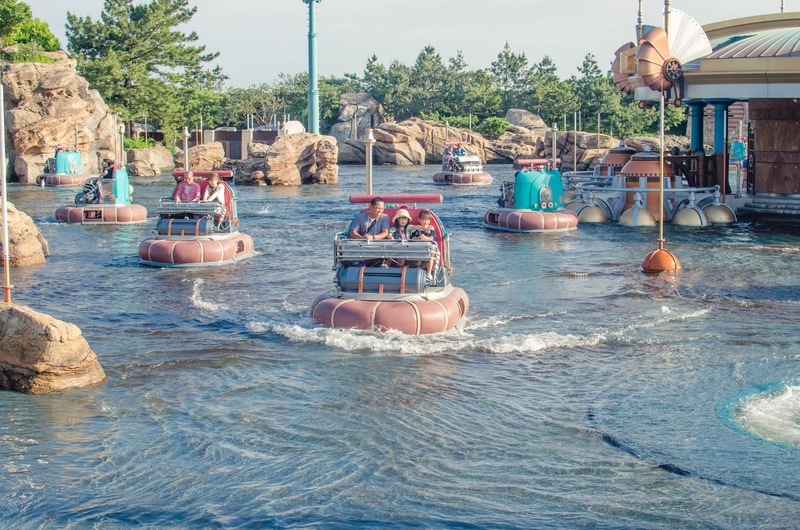 Some of the attractions you will find here are Aquatopia, Nemo and Friends Searider and DisneySea Electric Railway. 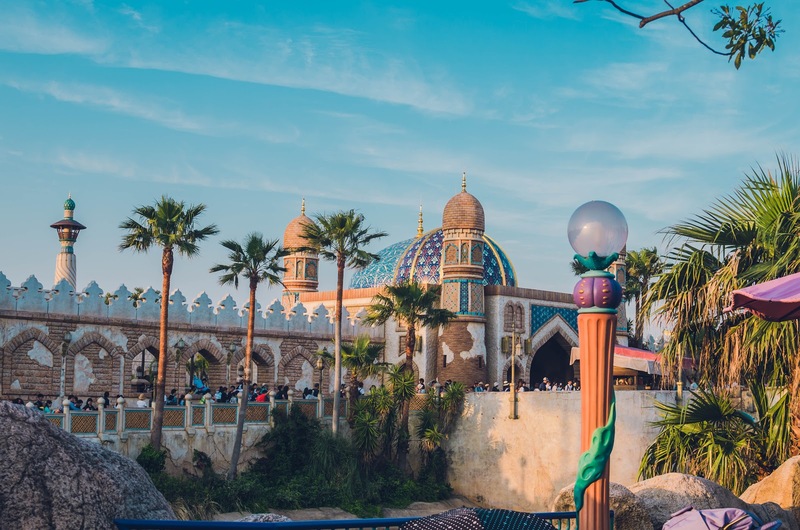 The Lost River Delta, located at the far-end of Tokyo DisneySea, depicts the jungles of Central America and the Amazon forests. 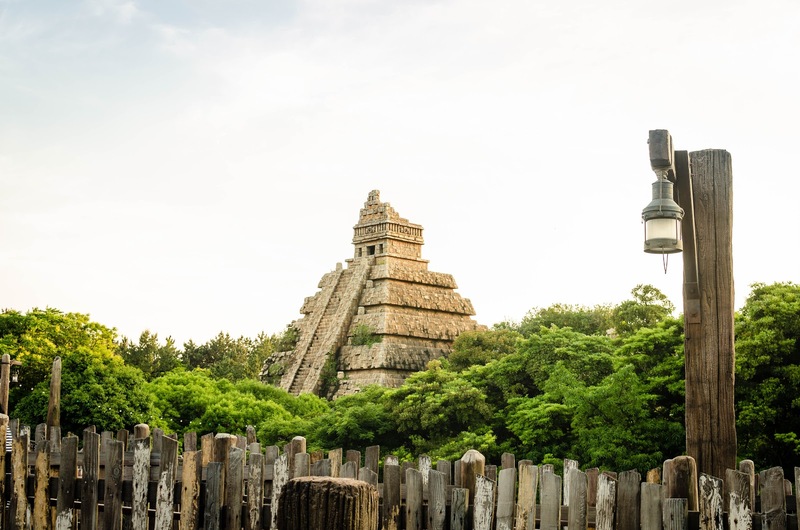 The star of this port of call is Indiana Jones Adventure: Temple of the Crystal Skull, a high-speed indoor ride through the massive dark corridors. You will also find here the Raging Spirirts, a short but intense roller coaster ride with a 360-degree loop. Unfortunately, I was not able to try both rides because of my neck problems but according to those who tried, both were super thrilling and scary because of sudden and fast tilts, bank and roll. 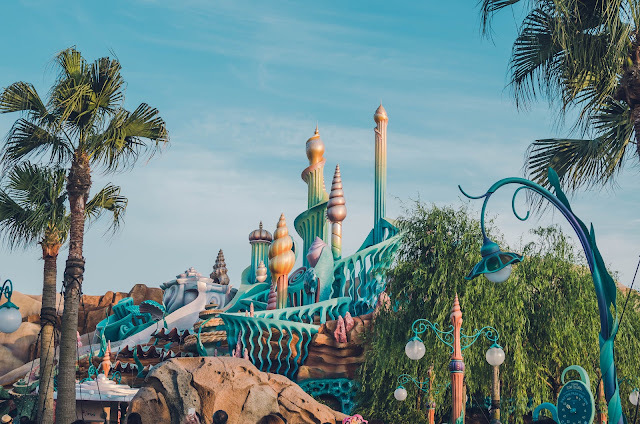 The Mermaid Lagoon was probably my favourite in the entire park primarily because it was super Instagrammable! Just like the other themed areas in Tokyo DisneySea, its design and architecture were perfect. It’s colours were so vivid that will make you wonder why external elements do not seem to affect it at all! Some of the attractions you will find here are Ariel’s Playground, Jumpin’ Jellyfish, Scuttle’s Scooters, Flounder’s Flying Fish Coaster, Blowfish Balloon Race, Mermaid Lagoon Theatre, and The Whirlpool. 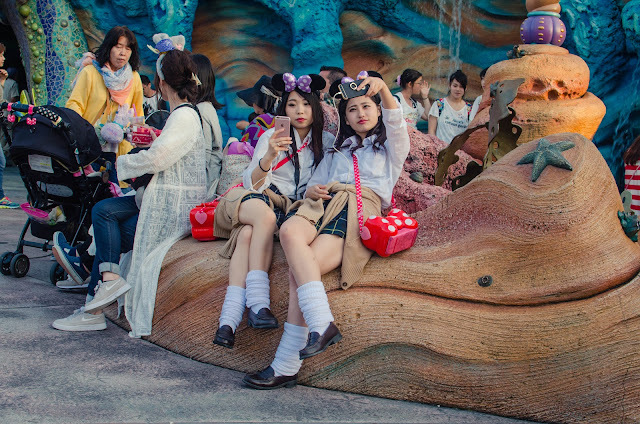 Lots of junior high and senior high school students at the Tokyo DisneySea. I have no idea if they were on an official school excursion haha! 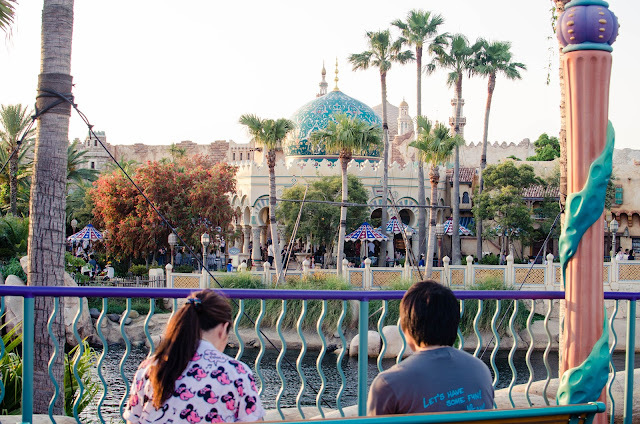 Tokyo DisneySea’s Arabian Coast is inspired by the Arabian Nights and Disney's Aladdin Movie. 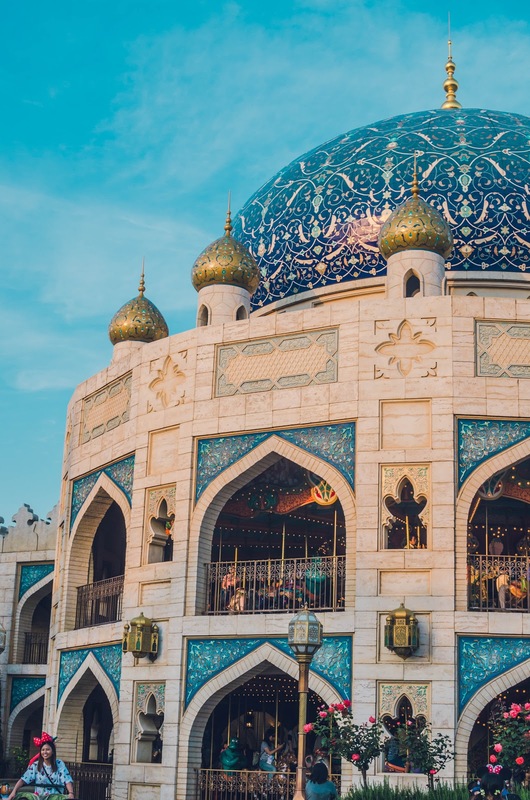 This themed area was easily recognisable because of its colourful domes and minarets and of course the delicious smell of food cooked and served at Casbah Food Court. Some of the attractions in this massive of port of call are Caravan Carousel, Jasmine’s Flying Carpets, Sindbad’s Storybook Voyage, and The Magic Lamp Theater. 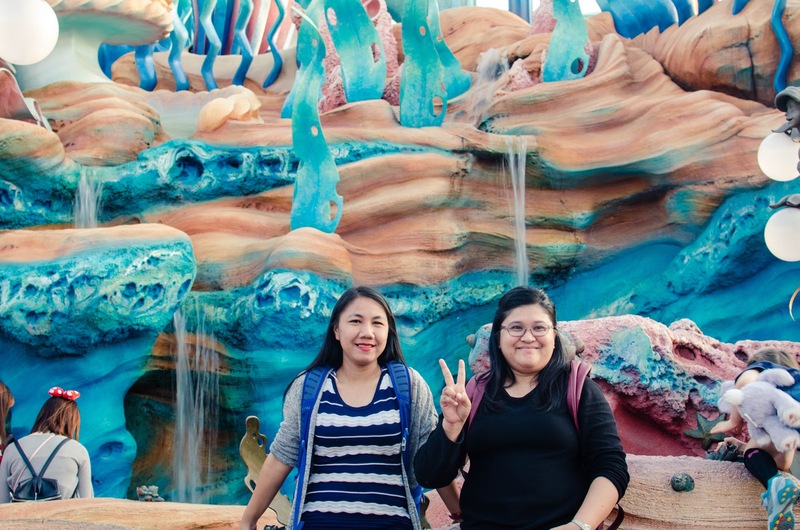 Although I was not able to try all rides, I definitely enjoyed this 1-day trip to Tokyo DisneySea. 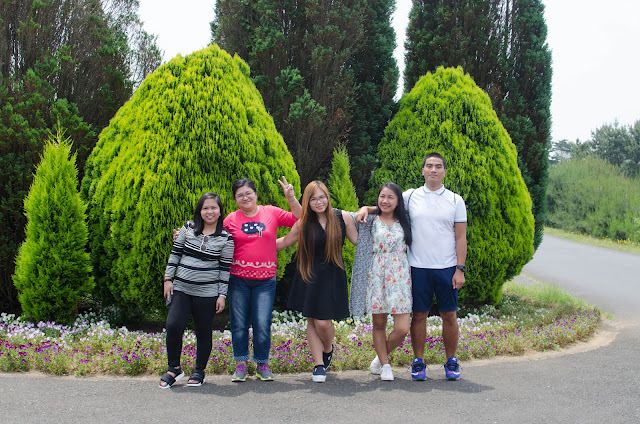 The attention to detail, the imposing Mount Prometheus, the friendly and helpful staff, the variety of food and shopping, made it a super memorable day. The lines were crazy but I think the rides/attractions make it worth it. 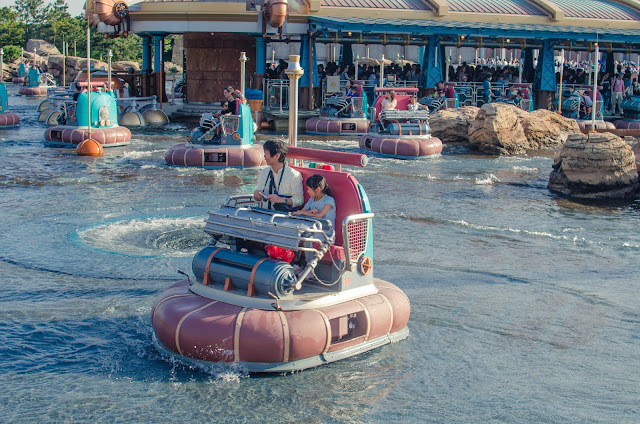 If I ever get the chance to go back to Tokyo DisneySea, I will definitely purchase the 2-day Passport and take advantage of the Fastpass. What type of tickets you need? 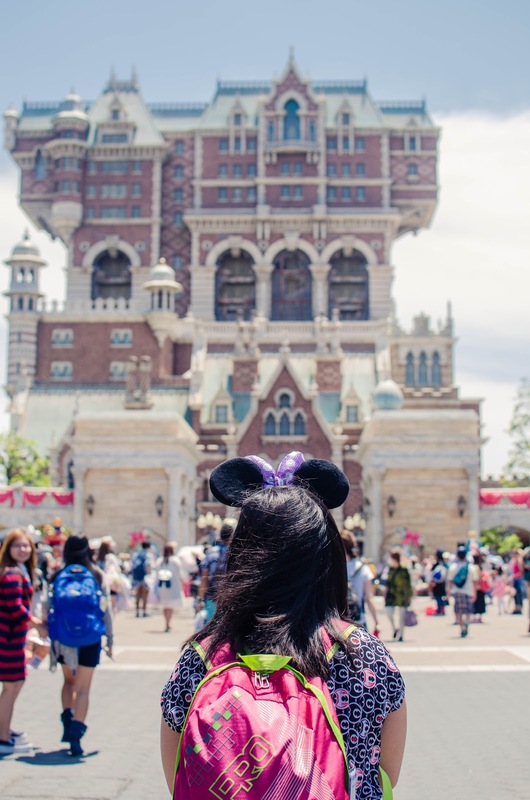 2-Day Passport (13,200 yen or about 6,300 pesos) - this passport is the best option if you have at least 2 consecutive days to explore Tokyo Disneyland and Tokyo DisneySea. Some of the best rides in both theme parks were too crowded and super long queue so some people choose to spend 2 days here. Although you can personally buy tickets at the Disneysea counters, I highly recommend purchasing your tickets online to avoid long queue. 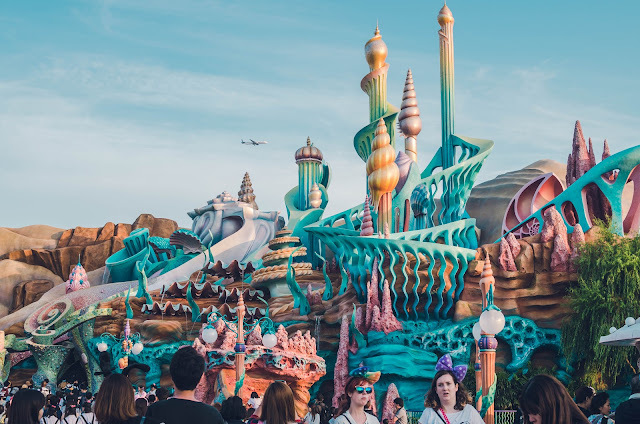 You can buy it online through the official Tokyo Disneysea website or through a third-party provider like Voyagin and Klook. 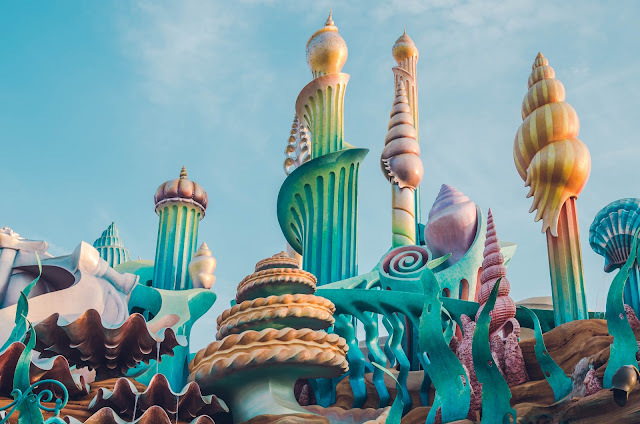 Please note these providers sell advanced tickets only and do not sell same-day entrance tickets, so you would need to buy at Tokyo Disneyland or Tokyo DisneySea for that. I’m a Klook Affiliate which means any purchase made through my website gives me a small commission with no extra charge to you. This amount keeps my website running, funds my trips and pay the bills. Read my full disclosure for details. 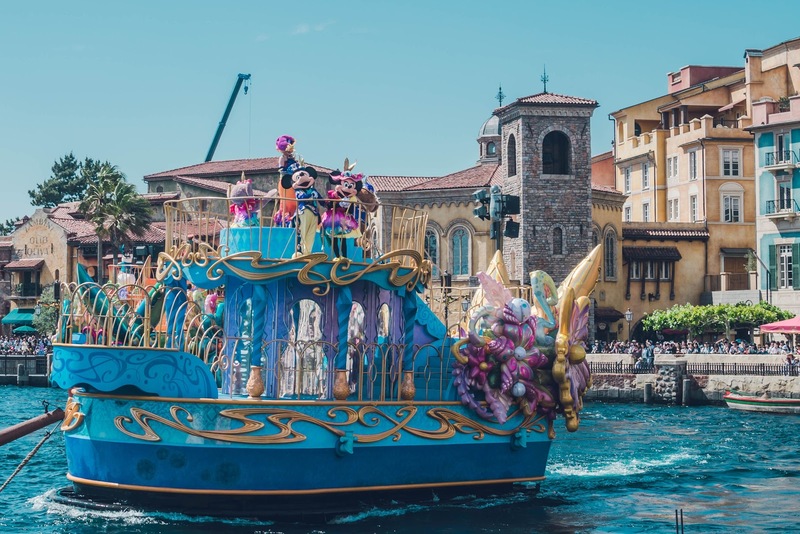 How to maximise your visit in Tokyo Disneysea? Avoid visiting during weekends, national holidays and school breaks. Download TDR app (TDR Wait Time Check for Google Playstore and TDR Alert on the App Store) to see rides wait times. 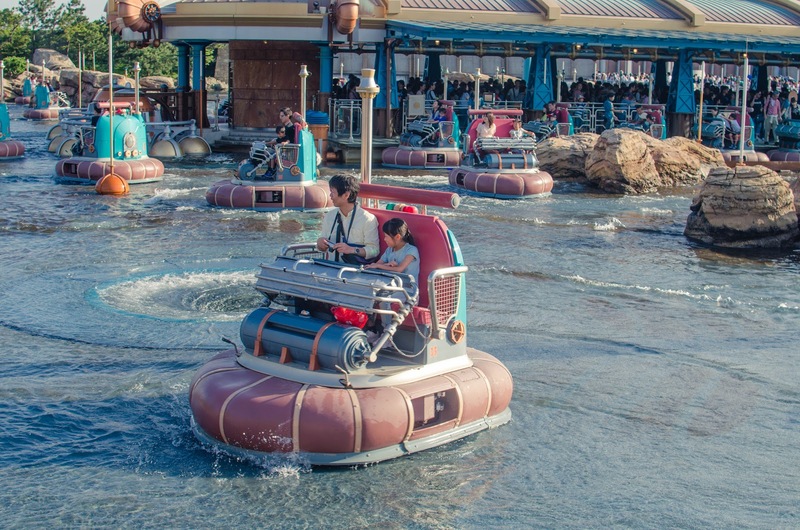 Arrive at Tokyo Disneysea before or at 7:30 AM. 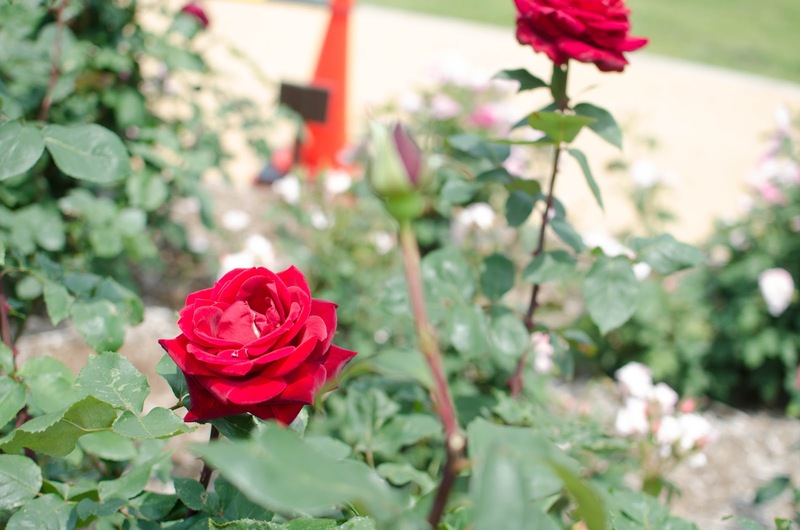 Once the park opens, present your e-ticket with QR code. No need to print this e-ticket because it can be directly scanned from your smartphone. Get your Fastpass to some of the most popular rides in Tokyo Disneysea.